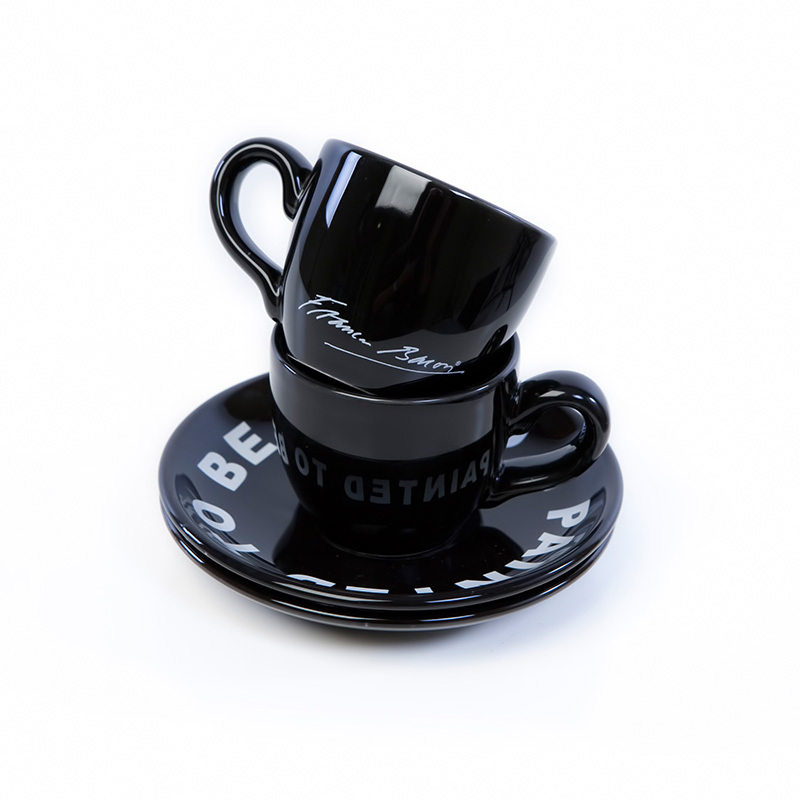 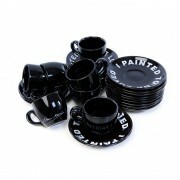 Elegant high gloss black English bone china cups and saucers. 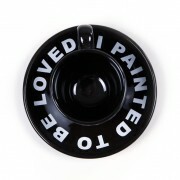 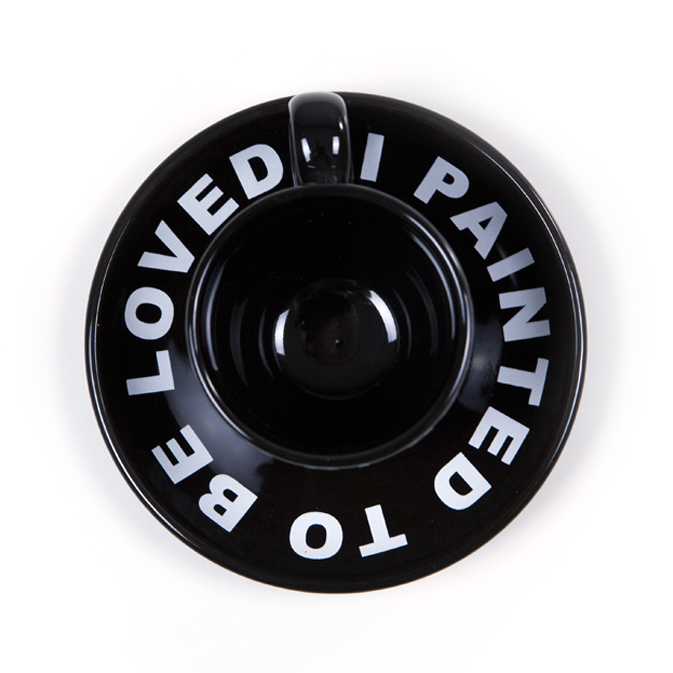 Saucer printed with quote “I PAINTED TO BE LOVED”. 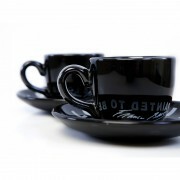 Artist’s signature on cup.